Navy Pier is the most popular and one of the most famous attractions in the city of Chicago. Located on the shore of Lake Michigan, in the Near North Side, the 3,300 foot long pier spreads out over more than 50 acres and is home to a variety of shops, restaurants, attractions, and meeting and event space. In fact, it is so popular that it welcomes nearly 9 million visitors a year. On The Scene has years of experience producing one-of-a-kind corporate events in our hometown of Chicago. That experience means we are very familiar with all the top Chicago event venues, including Navy Pier. 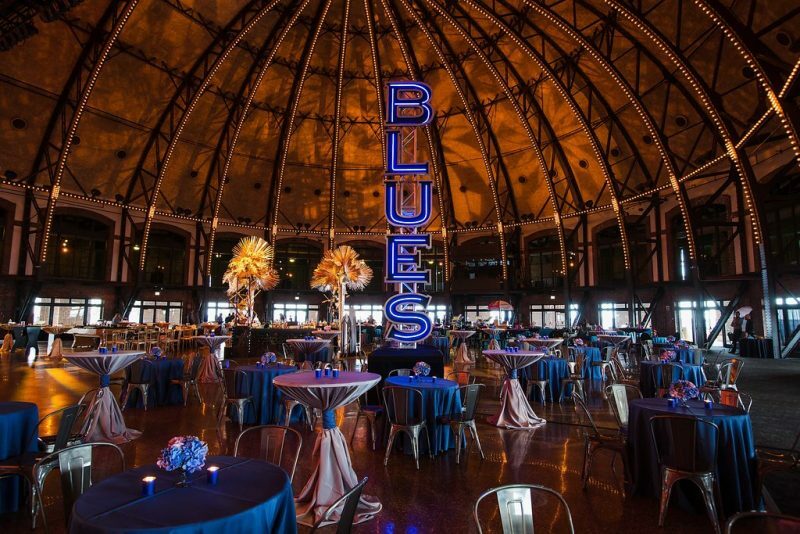 Our event managers will work with you every step of the way to help you choose a Navy Pier event space that is the right fit for your particular event. We become an extension of your team, working as your behind the scenes partners to learn your company’s brand and goals in order to bring your vision to life. Referred to as the “People’s Pier,” Navy Pier is much more than just a tourist attraction. It is also one of the top event venues in Chicago. The Pier offers a variety of versatile event spaces that provide lakefront views and a breathtaking glimpse of the Chicago skyline. It is home to 36 different meetings rooms that are adjacent to Festival Hall, Navy Pier’s exhibit hall. They can be used in conjunction or separately and are a variety of sizes, ranging from 750 to 8,200 square feet, depending on what you need for your specific event. Festival Hall – Offering 170,000 square feet of event space, this exhibit hall can be used as one large space or divided into two halls – Hall A and Hall B. Perfect for large-scale company wide events. Aon Grand Ballroom – Part of the original construction, this elegant ballroom offers 18,000 square feet of event space and features an iconic 80 foot domed ceiling. The ballroom can hold up to 1,100 guests and an additional 300 on the balcony. Crystal Gardens – Featuring a 6 story glass atrium, a botanical garden that covers one-acre, and 80 live palm trees, Crystal Gardens is a gorgeous event space that is perfect for more elegant events. It can accommodate groups ranging from 100 to 1,500. Lakeview Terrace – This 15,000 square foot loft space offers gorgeous views of Lake Michigan and the Chicago skyline, and can accommodate groups of up to 1,000. Rooftop Terrace – Located above the Lakeview Terrace, this outdoor event space can accommodate up to 1,000 guests and features a 5,000 square foot tent that provides covered event space. On The Scene is an award-winning Chicago event management company. We have years of experience working with clients in a variety of industries to produce unique event experiences. We offer a wide range of event management services, including: transportation, dining, and entertainment. 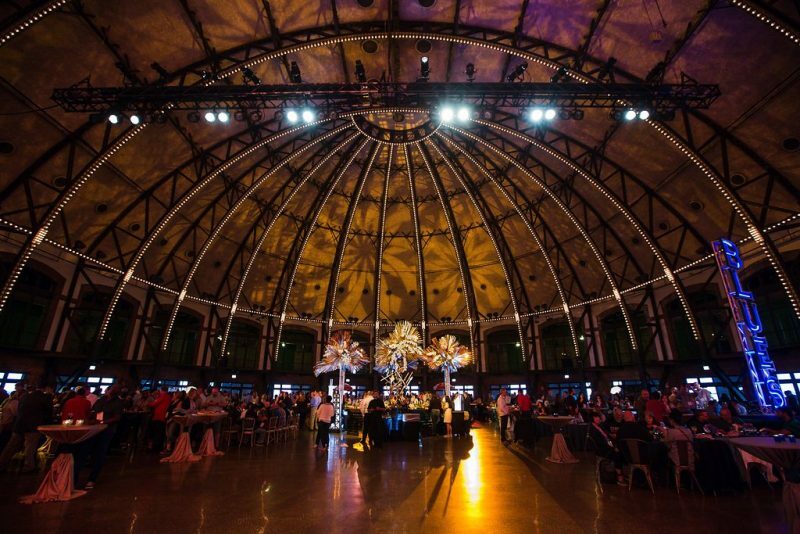 Interested in hosting your event at Navy Pier? Contact On The Scene today to speak with one of our event professionals about your upcoming Chicago corporate event.